Blackstar have been working closely with guitar hero Gus G. (Ozzy Osbourne, Firewind) to create the ultimate heavy metal amp. Based on Blackstar’s award winning Series One 200 amp design, this 200-watt, limited edition amplifier has been voiced in partnership with Gus G.
a Crunch channel with Crunch and Super Crunch modes, plus Fire and Fury overdrive channels specially voiced in partnership with Gus G. for a devastating full metal assault. 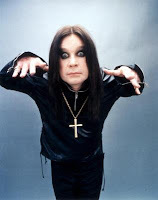 First saw this on Blabbermouth.net, so credit where credit is due! 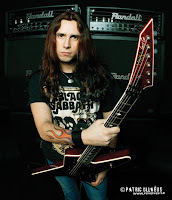 Randall Amplifiers is getting ready to watch signature Randall artist Gus G. make his debut as the new guitarist for Ozzy this Saturday, August 22nd. The concert will take place at the Blizzcon convention and be available on DIRECTV pay-per-view. Watch him play his signature Heaven and Hell half stack! So there ya have it! I’m sure it’s more than just a rumour if Randall’s posting about it – after all, Gus G probably had to order or borrow a bunch of amps to fill out the stage for the show. I feel pretty bad for Zakk Wylde right now.